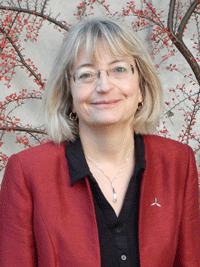 Stephanie Haywood is Professor of Optoelectronic Engineering, Head of Electrical and Electronic Engineering at the University of Hull, as well as being President of the Engineering Professors’ Council. 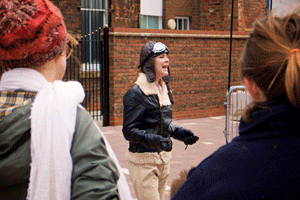 She was a leading figure during the summer’s Amy Johnson Festival to celebrate Hull’s aviation heroine, Amy Johnson, through a series of arts and engineering events. As part of the festival giant moths, designed by a range of local and nationally-based artists, and inspired by the Gipsy Moth Amy used for her pioneering flight to Australia, were placed around the city and can be seen until 31st March 2017. 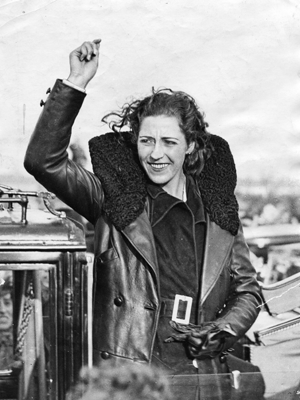 Born in 1903, Amy Johnson CBE was one of the most influential and inspirational women of the twentieth century. 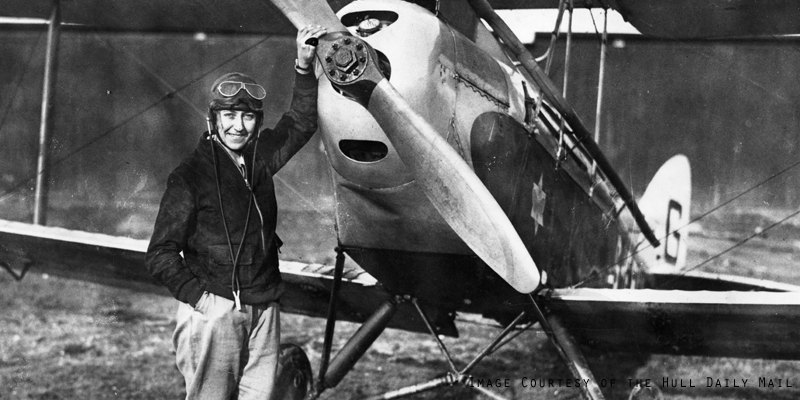 She was the first woman to fly solo from England to Australia and set a string of other records throughout her career. In 2016 we marked the 75th anniversary of her death. During the 1920s and 1930s aviation was dominated by the rich and famous and most female pilots were titled women such as Lady Heath, the Duchess of Bedford and Lady Bailey. Amy was the first woman to gain a ground engineer’s ‘C’ licence and, whilst working a secretary, she took flying lessons. In 1929 she was awarded her pilot’s licence and just a year later set off solo for Australia! Our festival celebrated Amy’s life, achievements and legacy with a wide ranging programme designed to appeal to all interests and ages. The festival set out to raise awareness of Amy Johnson’s achievements as an aviator, as an engineer and as a woman of her time. Amy’s story has been an inspiration to artists and organisations who have brought Amy to life with imagination and ingenuity! From kites to comics, Leonardo da Vinci machines to cardboard planes, films to fantasy, the festival re-imagined Amy’s world through the lens of today. I’m extremely passionate about making the link between art and engineering – the creativity needed for engineering design and also the engineering often needed to make great art. Above all, Amy is a fantastic role model for young people in general and young women in particular – a woman of unstoppable determination, with great engineering and aviation skills. At a time when the city of Hull, and the surrounding region, faces a bright future based on renewable energy, we wanted the festival to inspire more young people to seek an exciting engineering or technical career and follow Amy’s remarkable flight path! Engineering: Taken for granted because it is everywhere? Engineering is overlooked by many people, partly because it is everywhere you turn. Engineering is pervasive, woven through the fabric of our everyday lives and for that reason its extent is not always visible to the public at large. From the moment you got up this morning I doubt there was much that you touched that an engineer was not involved in designing or producing. There is the obvious water, energy and electricity supply to our houses, the grid and the power stations that keep them working, communications in our smartphones, music and apps we download and the network that keeps us connected. Engineering creates not just our cars but also the bridges, tunnels and roads that allow us to move around in our daily lives. 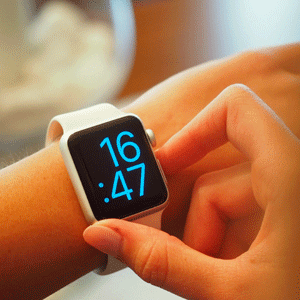 It creates medical implants such a pacemakers and joint replacements as well as medical monitoring and diagnostic equipment. There is also the less obvious design of the chairs you sit on, materials selection and production to make everything we use from toothbrushes and food packaging to fridges and forks fit-for-purpose and of course – very importantly – pleasing to use. Engineering is about making practical solutions to everyday problems. There is a lot of discussion in engineering world at the moment about how to fill the anticipated gap in the number of engineers that will be needed to fulfill the needs of the UK economy and also the range of skills and aptitudes that engineers will need in the future. These are of course closely related topics. 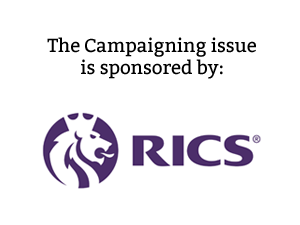 Depending on exactly which set of figures you take there is an annual shortfall of about 90,000 people entering the engineering professions with qualifications at Level 3, 4 and above – that’s education speak for advanced apprenticeships, degree and postgraduate level. Doubling the number of graduates entering engineering occupations – time to look at crossover with the arts? The recent Engineering UK annual report on the state of engineering suggests at graduate level alone we need to double the number of graduates entering engineering occupations and also to meet the shortfall in physics and engineering teachers / lecturers to inspire future generations of talented engineers. The report makes a key point that this is not just graduates in ‘core’ engineering and technology subjects that are needed but also other STEM and also arts areas. I’d like to get the message across to young people in particular, but also their families that engineering is a very broad church. It is underpinned by science and maths but also needs art and design. 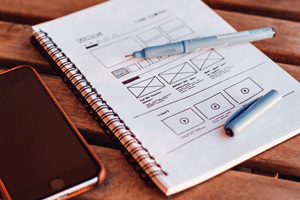 It can be about vision and creativity and also about the everyday skills needed to turn ideas into products. Of course this is a lot to ask of a single individual but fortunately engineering is also a team game and there is place for very many different skills, working together to achieve a goal. One simple way of increasing the numbers entering engineering is to encourage more girls to see the creativity engineering involves and its potential for a rewarding career. We need to make it the norm for both boys and girls to study engineering in equal numbers and eventually get into the industry. I spoke earlier about need to double the number of graduates going into engineering: Convincing those with an artistic bent that it might be for them is one way but actually we could do this almost in one stroke if we were able to increase the number of girls taking up engineering from 15% to 50%. Efforts to change this have made some difference over my lifetime, but effect has not been proportional to the effort. Talking to my daughter’s generation of 20-year-olds, I am very much of the view that it no longer really works to single out girls by running female-only events. We need simply to behave throughout school as if it is entirely ‘normal’ for girls to do STEM from the earliest age. There are some excellent schemes – Primary Engineer is one. It’s a professional engineering institution for primary school kids. It relies on the fact that at this stage no one has told girls there is anything unusual about them being an engineer and so they engage completely and make up 50% membership. The future: Art and engineering working in perfect harmony? The Amy Johnson Festival was a subtle way of showing that both genders can get into engineering and I was delighted to be part of it. If you haven’t already, I’d encourage you to visit the moths that have been dotted around the city as part of the festival – they are in place until the end of March 2017. There’s even a Moth Collector app so you can enjoy the art and engineering working in perfect harmony!